2019 revised and updated edition is now available, see foot of page. By the author of the biography PATRICK McGOOHAN: DANGER MAN OR PRISONER? 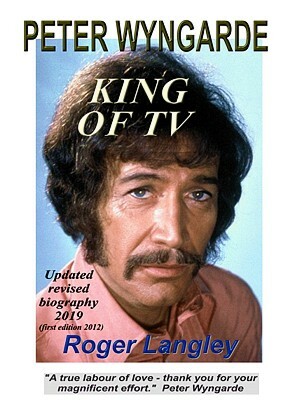 now comes the first ever biography* of the actor PETER WYNGARDE, star of classic TV series DEPARTMENT S and JASON KING, plus guest star of THE PRISONER, THE AVENGERS, THE SAINT, THE CHAMPIONS, THE BARON, THE TROUBLESHOOTERS, DOCTOR WHO AND MANY MORE. Also lead roles in the theatre - London, Broadway, repertory, Europe, Australia - plus TV plays. Also movies: THE INNOCENTS, NIGHT OF THE EAGLE, FLASH GORDON, THE SIEGE OF SIDNEY STREET. *2012; new edition 2019. Glossy colour covers, 100 pictures, full screenography, index, various chapters and coverage of the actor's early life through to appearances in the 21st century. Includes rare shots from productions not published before. 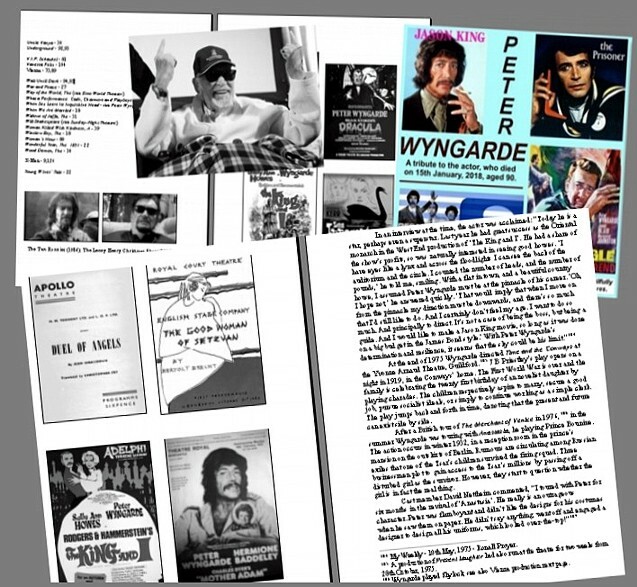 Merchandise, recordings, movie posters, magazine covers, books and many footnotes with additional information. Past interviews, contact with the author and picture galleries. WANTED AND PLEASE JUST ADD A MESSAGE TO YOUR PAYPAL PAYMENT. be transferred to a safe and secure server where the transaction will be handled by PAYPAL. UNITED KINGDOM price £7.99 including postage and packing. EUROPE price £11.99 including Air Mail postage and packing. REST OF WORLD price £12.99 including Air Mail postage and packing. UK RECENT POSTAL RATES INCREASES MAKE SHIPPING CHARGES HIGH BUT WE USE LOWEST PRICE OPTIONS. Also can be ordered by post from Escape, Box 66, IPSWICH, IP2 9TZ, UK.